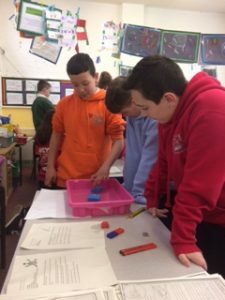 Primary 4-7 pupils had fun learning about magnetism in the Primary 6 classroom. When learning about the properties of magnetic forces, each class watched an interesting video about the world’s magnetic forces and the aurora borealis. 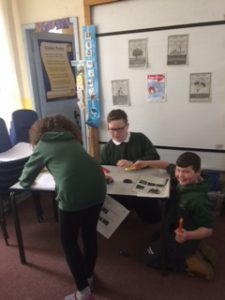 Pupils also learned about the use of electromagnets within health and industries. 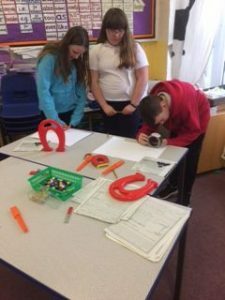 Pupils then went on to investigate magnetism at seven different active learning stations. Within these stations they explored magnetic poles and their attraction and repulsion. 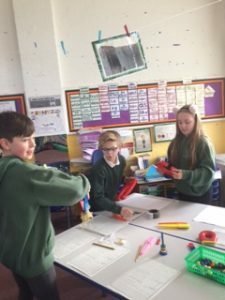 They compared the strengths of different types of magnets and discovered that magnetic forces can travel through various materials. 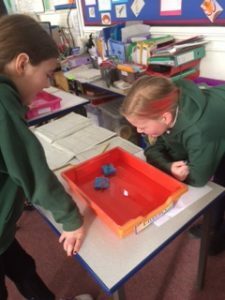 Pupils were amazed that they could transfer magnetic forces to some metals and then use the metal needles as compasses that found the position of North. 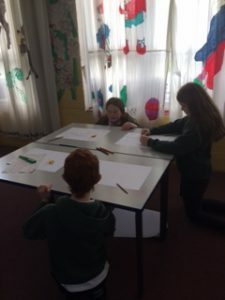 Everyone enjoyed taking part in the fun activities too. Using magnets they made a car racing game and moved ‘stretchy people’ through a maze!